We all know very well that the well-known Chinese brand Vivo was the first manufacturer to present a smartphone with the on-screen fingerprint reader that arrived in early 2018 and named as Vivo X20 Plus UD. However, now according to the latest reports, the well-known Chinese smartphone brand VIVO teases its next crazy ambitious futuristic smartphone. The well-known Chinese brand Vivo was the first manufacturer to present a smartphone with the on-screen fingerprint reader that arrived in early 2018 and named as Vivo X20 Plus UD. In June the well-known Chinese smartphone manufacturer, Vivo launched the all-new NEX series smartphone. But, before that, in the prototype phase, we had APEX that later received the commercial name as Vivo NEX. 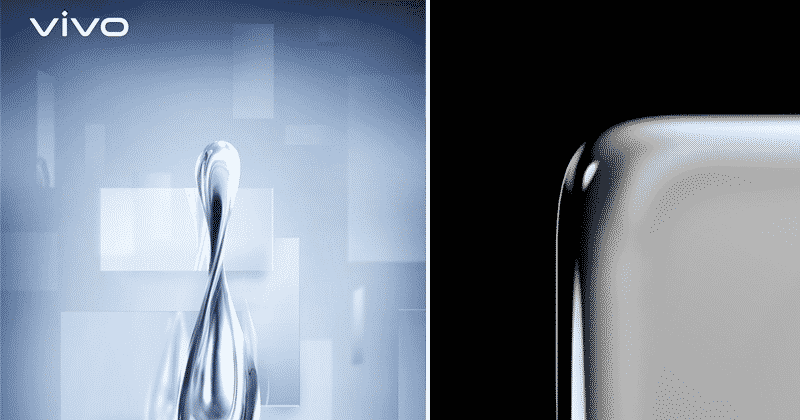 Now, on 2019 the well-known Chinese smartphone manufacturer, Vivo wants to surprise the smartphone market with its new smartphone inspired by a drop of water. With more fluid and organic lines, the device has been partially revealed in a series of leaks. According to the well-known leakster, Ice Universe, the well-known Chinese smartphone manufacturer, of course, Vivo will bring a smartphone with smooth rounded edges. Something that aims to eliminate any sharp edges of the smartphone. The second image shows us a bit more about the device itself and one of the main points of sale of this smartphone will be its revolutionary design. Something that the well-known Chinese brand, of course, Vivo will be using to promote this product as the smartphone of the future. However, more recently, we see the invitation to the press, as a rule, distributed by the company itself. Here we see another reference to the policies underlying the product design philosophy. Starting from the assumption that the image is true, its presentation will happen on the 24th of this month. However, apart from all these limited information, the most interesting thing about this smartphone is its innovative design. While now if we talk about the technical specifications of this futuristic smartphone then let me clarify that currently, we do not have any information regarding its technical specifications. But, for now, what we can assure is the design of this new Vivo smartphone will simply surprise the entire smartphone market. So, what do you think about this? Simply share all your views and thoughts in the comment section below.